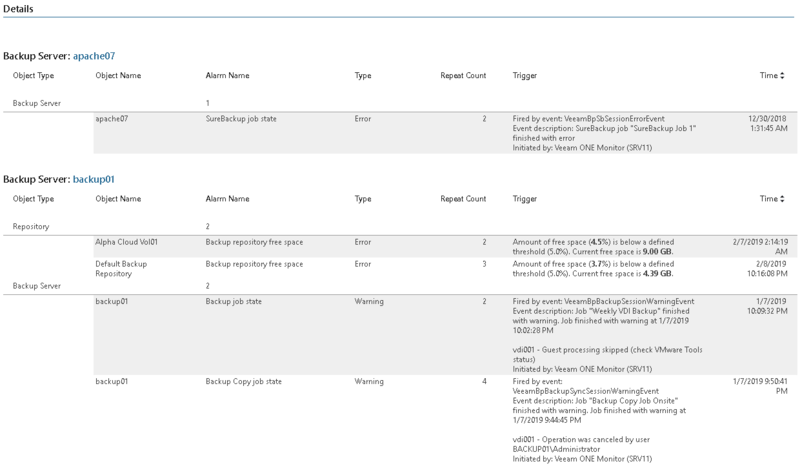 This report shows all unresolved alarms that Veeam ONE Monitor triggered for the Veeam Backup & Replication infrastructure. The Total issues number chart shows the total number of alarms specified in the Alarm Status parameter. The Top 10 Issues table displays 10 most frequent unresolved alarms, their status, and how many times they were triggered. The Details table displays names of triggered alarms, their status, triggering events and time, and affected backup infrastructure objects. 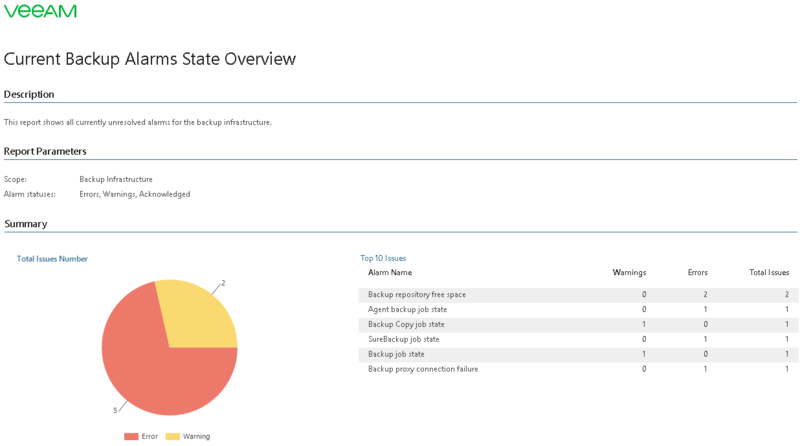 You can use this report to detect and resolve current and the most pressing issues with Veeam Backup & Replication. Alarms Status: defines statuses of alarms to display in the report (Errors and Warnings; Errors only; Errors, Warnings, Acknowledged; Acknowledged only).